Team Sonic Racing will have Eggman parading around with two of his evil pals. 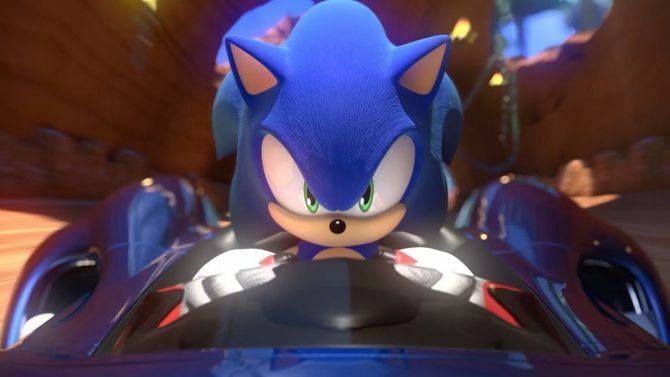 Team Sonic Racing is revving up hype as it gets closer to the launch date set for this year for Xbox One, PS4, Nintendo Switch, and PC, and previously we’ve had teases of the various stages we can expect to see. We’ve also heard the songs that will be featured as part of those tracks such as Market Street and Whale Lagoon, but today we’ve been given a look at Team Eggman. After previously seeing Team Vector and Team Rose in 2018, we’ve been given the chance to see Sonic’s arch-enemy, Dr. Ivo Robotnik (also known as Dr. Eggman) himself and two of his evil teammates who will join him on the tracks. 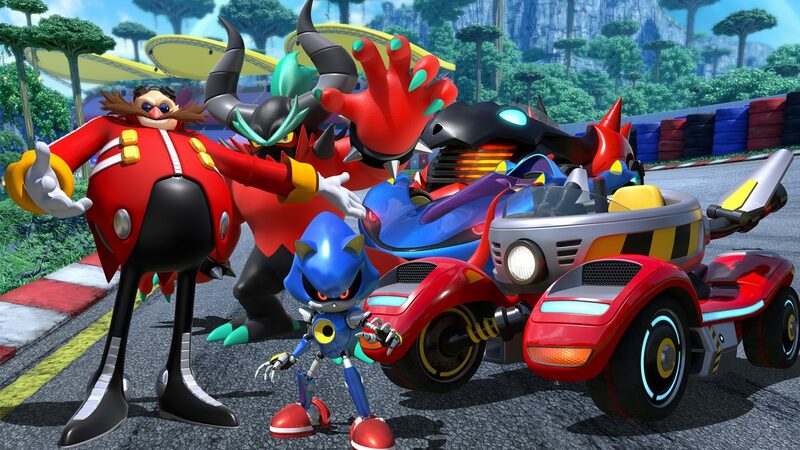 Eggman will feature as a Technique member of Team Eggman, while Metal Sonic will be the Speed focus on the team. Zavok will join the team as a Heavy member. Metal Sonic is one of Eggman’s creations and lacks the empathy that Sonic himself has. Instead Metal Sonic aims to be better than Sonic in any way possible. Zavok is demon-like and also the leader of the Deadly Six. We don’t get to see much of the characters as no video has surfaced yet showing off the trio, but from the below art we get a peek at the vehicles…sort of. 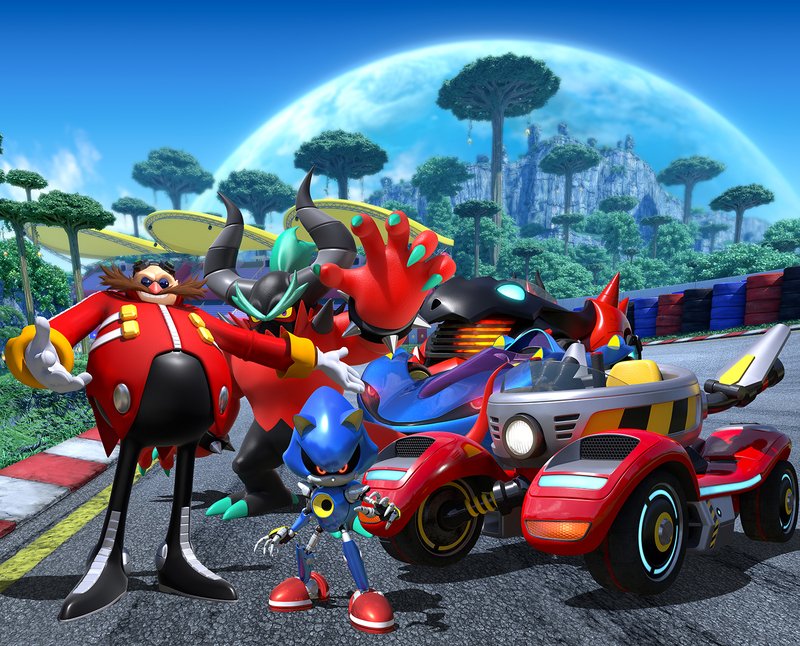 At the front, we see what appears to be Eggman’s car, sporting his famous eggy looking hovercraft sphere, but instead of hovering it’s attached to a red and curved car body. Another vehicle can be seen behind it which sports a blue body. It looks like it could possibly be Metal Sonic’s vehicle. The vehicle in the back looks rather demonic, fitting Zavok’s theme. 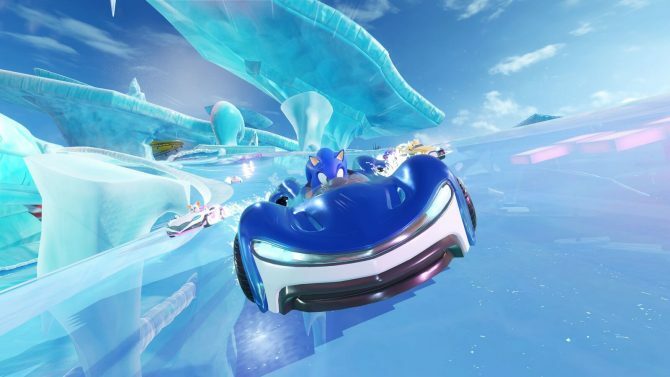 Team Sonic Racing will have three racers per team with abilities being used if they perform well. We saw a video last year showing how these abilities will work. 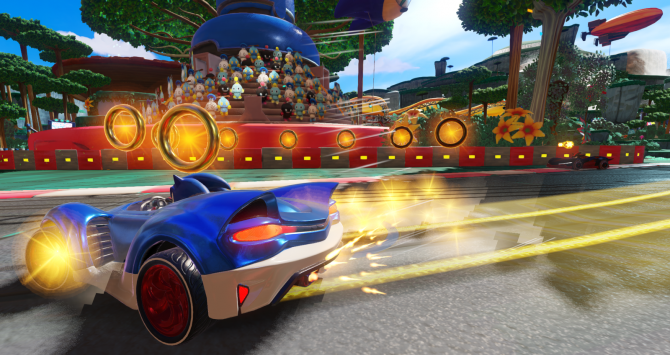 Takashi Iizuka, the Series Producer also spoke about some details for Team Sonic Racing at the Tokyo Game Show. Team Sonic Racing will be launching this year on May 21 for Xbox One, PS4, PC, and Nintendo Switch. 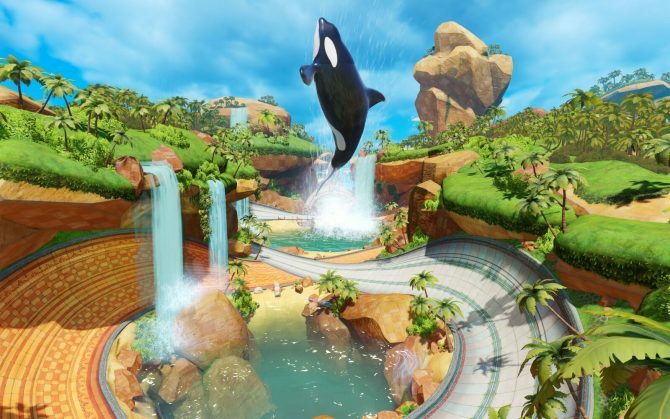 In a new Sonic the Hedgehog Twitch livestream panel, a new customization trailer for Team Sonic Racing as well as Team Sonic Racing Overdrive animation, has been revealed. Sonic Team also announced that Sonic Team has begun production on the next Sonic the Hedgehog title.